Fourteen years after their best-selling hit, Monica and Brandy released “It All Belongs to Me” Monday through RCA records. 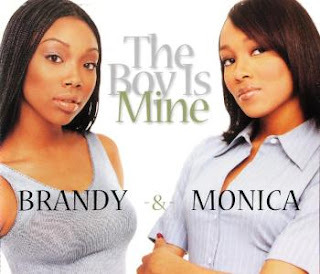 They are thankfully sounding much more mature since the teen pop/r&b "The Boy Is Mine". However, do you think this will be even half the size of the hit "The Boy Is Mine" was? "The Boy Is Mine" spent 13 weeks at the top of Billboard Hot 100. This will be lucky to spend 1 week on the R&B side. I like it but I just don't see "IT" factor in it to make it a HIT. Listen to it after the jump and tell me what you think.